Bunions can be painful and having the best shoes for bunions will make your life a lot easier and the shoes will save you from a lot of pain and suffering. Basically, bunions develop as the metatarsal bone drifts away from the rest of the foot. This can be the result of different things, the way you walk, the shoes you wear and the fact that the tendons that control your movement no longer work correctly. Wearing the correct footwear is essential. If you are a teacher, you may feel you develop bunions more than the average person, as you are constantly on your feet. If this is you, feel free to check out our review of the top shoes for teachers. We have a look at the different shoes on the market, taking into consideration the materials used to make the shoe. View the Best Shoes for Bunions, Below. What are the Best Shoes for People with Bunions? Which Running shoe has the Widest toe Box? Are flip-flops bad for Bunions? Do Bunions have to be Removed? One that has enough width to avoid putting pressure on the joint effective, a shoe with extra depth which prevents rubbing on the top of the toe. Wearing a shoe that caters for the bunion in terms of softness, flexibility, and durability and prevents putting any pressure on the sensitive areas on your foot. A athletic styled sneaker that is designed to cater for people who suffer from foot ailments such as bunions. This lace-up style shoe is lightweight, flexible and durable, all the qualities a great shoe for bunions should have. The synthetic upper is breathable to allow enough airflow through to let your foot remain cool and dry. 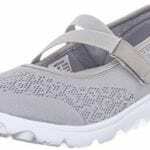 This is a low top womens athletic casual shoe that provides arch support and fits perfectly on your foot. The shoe is engineered for stability and support, made from high-quality materials and the construction of the shoe takes into consideration the need for a wide fitting shoe. 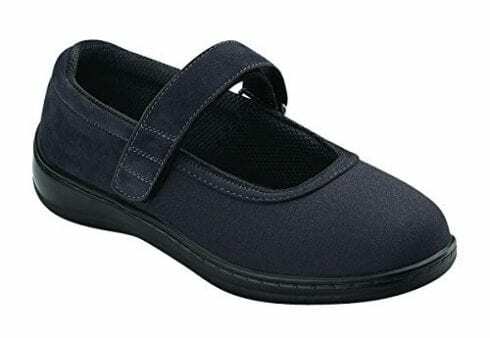 The shoe offers five widths, from narrow to extra wide.The insole of this shoe is very well cushioned to provide the comfort and support your foot needs, it also features a removable footbed so if you need to substitute your own orthopedic shoe footbed, or replace a worn footbed it is quick and simple to do.The rubber sole not only offers you great comfort it also provides great traction to ensure that you stay securely on your feet at all times. A stylish shoe that is flexible, durable and comfortable, this is one of the best footwear for both bunions and wide feet. This is easily of the best shoes on the market if you are dealing with bunions. A flexible rubber sole, breathable upper material and five different widths available, it also provides a cushioned insole and a removable foot bed. Comfort, stability, and support are what you get with this shoe for bunions for comfort all day. 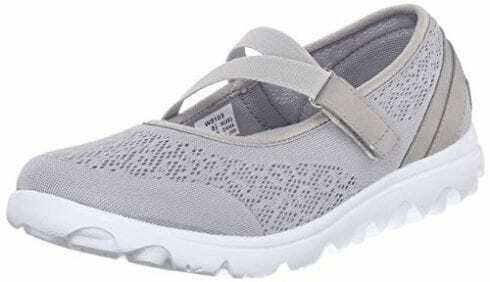 A fantastic sandal for women who suffer from bunions, stylish and constructed to offer relief from bunions, this is one of the best womens shoes for walking with bad bunions on the market today. Featuring Finn Comfort Classic foot bed, which offers a firm feel and great support. The heel measures one inch and the broadband straps offer the best comfort and are adjustable to ensure the perfect fit for any foot size or shape. A full leather upper and leather lining will not only conform to your foot but will also help to wick away the moisture keeping your foot cool and dry throughout the day. The anatomical shape of the shoe helps to distribute your bodyweight with a resilient, cork and latex base which will reduce foot fatigue. The outsole is designed to absorb shock and is constructed from a water-based polyurethane, to give you the most comfort and flexibility when walking. They are perfect walking shoes for bunions! The shoe offers a classic style with contrasting stitching and a textured button accent so you can not only look good but feel good during the day on your feet. A shoe that is designed to absorb the shock from impact of walking, with a Finn Comfort Classic footbed offering firm feel and excellent support. A water-based polyurethane outsole with a resilient, cork and latex base, this is one of the most comfortable shoes for bunion pain sufferers on the market today. This walking boot is designed to accommodate either the right or left foot, which is fully adjustable with straps to allow the surgical walking boot to accommodate either casts or bandages. The square closed toe design of the shoe makes it suitable for both feet and is non-gender specific. These also make great shoes for nurses. The walking boot offers you the protection you need after surgery as well as the support. It will keep the cast or bandages on your foot dirt-free and dry and provides support after surgery on your foot, toes, toe joints, or ankle as well as leg. A rocker sole that is also non-skid ensures you get the stability you need when walking while supporting your arch and relieving any pain or pressure you may feel on the forefoot or heel. The lightweight design makes it very comfortable and easy to walk with while the wide square toe box will act as a kind of bumper to prevent you hurting your foot or toes. Not only is this walking boot available at a fantastic price it also offers a sixty-day unconditional guarantee. After surgery for bunions or any other foot ailment, you need a boot that will protect your foot from harm keeping it dry and cool at all times. The rocker, non-skid sole provides a very comfortable boot, it is suitable for both feet as well as being non-gender specific. Is wide enough to cater for bandages or casts. A leather sandal that is supportive and comfortable, perfect for people who suffer from bunions or other forms of foot ailments. The insole offers contoured orthotic support. The heel-seat conforms to the contours of your feet and is gel padded for extra support and comfort. 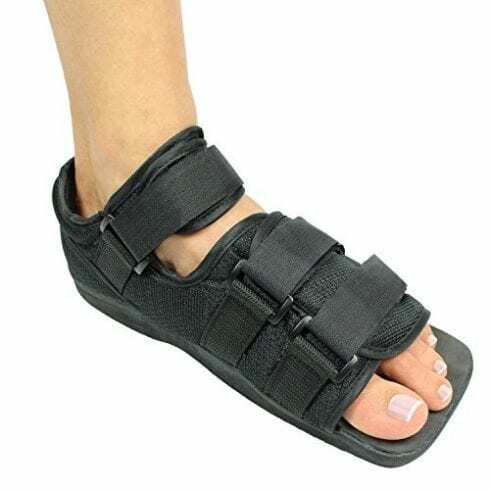 This sandal features anatomical arch support and this along with the extra padding alleviates pain in the foot and heels, as well as the knees, hips and lower back. The shoe is designed with an ergonomic-stride which adds to the stability of the sandal and also facilitates foot motion, the extra depth and non-binding nature of the upper are complimented by the wide toe box for bunions all of which helps to eliminate the pressure that shoes can place on both bunions and hammer toes. Whether talking about womens flats, or womens heels - a lining, padded foam, the seam-free interior is soft and comfortable and is perfect for bad bunions, diabetic neuropathy, and rheumatoid arthritis. It also helps to alleviate heel pain, arch pain, as well as the ball of the foot, metatarsal, knee and back pain. This is a great sandal for women who suffer from bunions and other foot disorders or pain. The gel padded heel-seat, wide toe box, anatomical arch support, and ergonomic-stride design all add up to a sandal that will keep your foot stable, comfortable and supported throughout the day. A padded foam seam-free interior rounds out the great shoe for bunions. This superb athletic styled shoe offers a man who suffers from bunions the support, comfort, and stability they need in a sneaker to remain comfortable throughout the day. Anatomical arch support, gel padded heel-seat, and orthotic insole are all features that are designed to lessen any pain in the foot, heel or knees, as well as alleviate hip and lower back pains. A lightweight air-cushioned sole adds to the comfort level and the Ergonomic-Stride design not only facilitates foot movement by also gives you great stability. The upper is non-binding and the shoe offers an extra depth design with a wide toe box, these features prevent you from putting pressure on your bunions or hammer toes and alleviates pain. The seam-free interior lining is soft and foam padded to stop you from pressing on your pressure points that cause pain and is perfect for both sensitive feet as well as those suffering from diabetic neuropathy and other foot ailments. The diabetic shoe is something that is becoming more and more popular. One of the most popular shoes for bad bunions and hammertoes on the market these orthotic men’s sneakers are therapeutic and are designed to cater for men suffering from bunions, shoes for plantar fasciitis, and heel pain. An orthotic athletic sneaker for men that are designed with features such as gel padded heel-seat, non-binding upper, lightweight air cushioned insole and anatomical arch support in order to alleviate pain associated with bunions, plantar fasciitis, and other foot ailments. The Ergonomic-Stride design and seam-free interior lining are soft and padded to offer extra comfort. 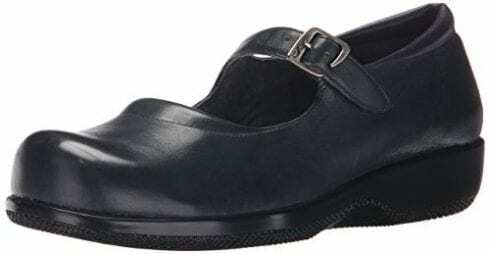 This women’s shoe for bunions is designed with leather uppers and rubber soles that make the shoe very durable, flexible and comfortable and help to alleviate the pain from bunions and other foot ailments. Having bunions do not have to prevent you from wearing stylish high heel sandals, with the Softwalk you get a sandal that offers flexibility and shock-absorbing qualities as well as being extremely lightweight. The slide one sandal has a unique faux buckle, which adds to the look of the shoe. The cork and latex footbed have a microfiber center strip, which prevents the foot from slipping and keeps the foot cool and dry all day long, this slipon shoe is a winner. The thermoplastic rubber outsole will offer the support and stability you require along with superb traction. 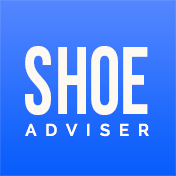 The style of the shoe is one that melds to your foot; the padded heel and collar along with the patented egg-crate footbed will minimize fatigue and pain. 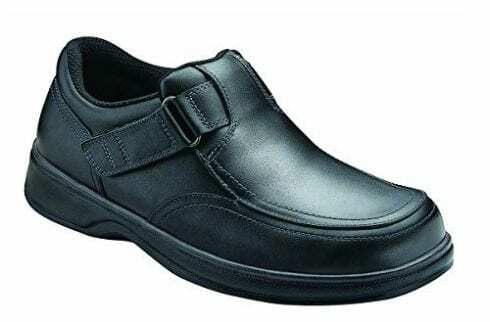 Designed for the woman who does not want to compromise on style and comfort, the perfect work shoe for the woman who suffers from bunions and other foot ailments. For the woman who wants to look good, the Softwalk high heel sandal is the perfect one to choose. With a thermoplastic rubber outsole, patented egg-crate footbed design and cork and latex constructed footbed with a microfiber center strip, it will make you look good and feel good all day. 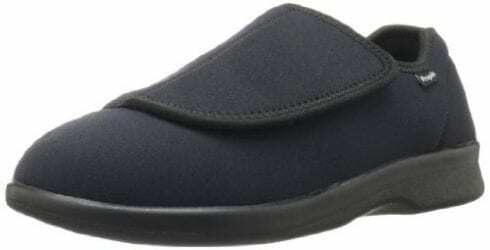 A slipper designed to ensure that your foot remains comfortable and secure, with a neoprene, womens stretchable corduroy upper it is soft and allows for most sizes and shapes of feet. Looking at the sizing chart will of course be the best option here. The extra-large opening makes it easy to put on and take off and the hook and loop closure keeps it securely on your foot at all times. You will stretch shoe at first in most cases this is expected. After a long day at work, you need a shoe that is going to be able to relieve the pressure you have put on your feet, the low top slipper offers arch support and is extremely stretchable. The synthetic sole is not only supportive but also offers excellent traction. 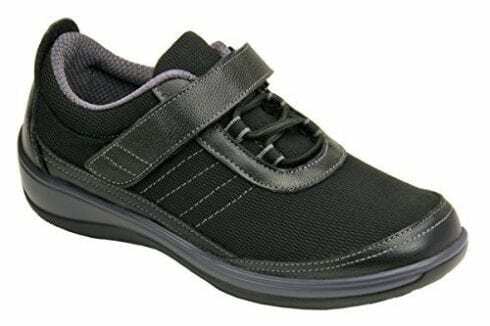 Support is paramount in any Propet shoe or slipper and this one is no different, it offers more width to accommodate the movement of your foot no matter what size or shape. Designed with cushioning comfort for bunions, plantar fasciitis, and many other foot-related ailments. When you get home from a long day at work, you need a slipper shoe that will wrap your foot in comfort. The Propet men’s slipper offers stretchable uppers, synthetic sole, extra-large opening and low top designs. Accommodating all shapes and sizes of feet, it provides cushioning from bunions and other foot ailments. These are a great pair of shoes for flat feet. Orthofeet shoes are designed to alleviate pain from bunions, and any other foot ailments and are one of the best shoes for women with bunions. 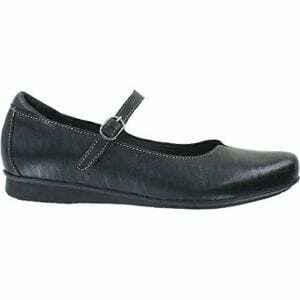 They are also an extremely stylish womens Mary Jane dress shoe. The extra toe room that is on offer in the shoe along with the straps to ensure that your foot is secure in the shoe ensures a great fit no matter the size and shape of your foot. The strap allows for adjustment to accommodate high arched feet and they are perfect for both work and casual wear. They are orthotically designed and offer both stability and support to the women with bunion related foot issues such as bunions, corns, and diabetic neuropathy. The cushioned sole of the shoe ensures great comfort; the shoe is lightweight and offers comfort in every step. The shoes come in various colors and are not only stylish but offer support and protection from injury at work or play. One of the most stylish shoes for bunions and hammertoes, this ladies shoe is perfect for both casual and work wear. Extra toe room allows the foot to rest comfortably in the shoe and the cushioned insole adds to the comfort. Designed for any size or shape of the foot with an adjustable strap to secure the foot in the shoe. Another superbly designed orthotic shoe for that offers a number of features that will help to keep your foot protected, comfortable and supported through the day - for those with a foot condition. The orthotic support offered by the insole and anatomical arch support is complemented by the gel-padded heel-seat which helps to prevent pain in the foot, heel as well as the knees, hips and lower back. Lightweight soles have an air cushioning and will help to soften your steps with shock-absorbing qualities. The Ergonomic-Stride design will give you the stability and range of foot motion you require in order to prevent pain from bunions and other foot ailments. This is a great looking shoe with a fabric and leather upper, the non-binding, extra depth design of the shoe along with a wide toe box, seam-free interior, and padded foam to cushion your pressure points. 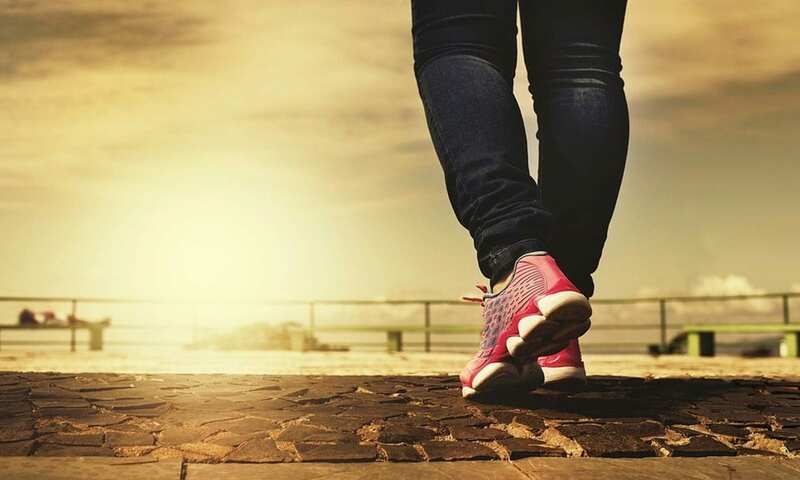 The stretchable women's shoes are designed to help the woman deal with plantar fasciitis, foot pain, metatarsal pain and other painful foot ailments. Orthofeet has done it again with a great Ergonomic-Stride design shoe with stretch fabric-leather uppers and orthotic support. The anatomical arch support with gel padded heel-seat along with a number of other features provide the best support, comfort, and stability you require in an orthotic shoe to help deal with bunions and other foot issues. The contoured orthotic men’s shoes provide the support and comfort every man who suffers from bunions or other foot issues. With leather uppers that are lightweight and offers, style and support Orthofeet have done it again with the Carnegie Men’s shoe. The anatomic arch support and gel-padded heel-seat will fit the contours of your foot to offer the comfort and alleviate the pain from the foot and heel all the way up to the knees, hips and lower back. Air cushioning helps to soften the impact of your steps and the Ergonomic-Stride design offers a great range of foot motion as well as superb stability. The non-binding, extra depth design along with the wide toe box shoes will allow you to prevent pressure being put on your bunions or hammertoes. The seam-free, soft interior is foam padded protects the pressure points perfect for the protection of sensitive feet. These orthotic engineered designs are some of the best therapeutic pair of shoes on the market designed to deal with foot pain, heel pain, metatarsal pain, knee pain and ailments such as bunions, corns, and hammer toes. 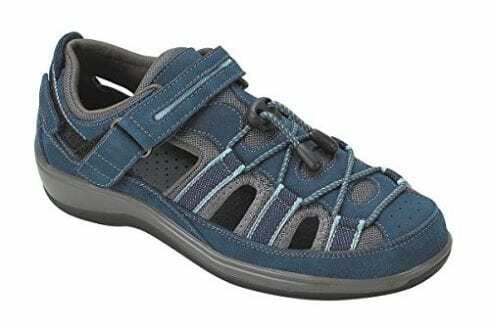 A superb shoe for men who suffer from bunions or other foot ailments such as corns or hammer toes. The foam padded inner of the shoe, gel padded heel-seat, and Ergonomic-Stride design, along with a seam-free soft interior ensure that your feet get the best support, comfort and stability needed. If Men or Women with bunion related foot problems are looking for a great shoe that will not rub against corns or bunion pain, you need to consider a number of different features that will offer you the support, comfort, and stability needed to deal with this foot condition. Some things to consider when buying a shoe for bunions are the comfort, width, quality, flexibility, weight as well as durability and grip of the shoe. Also, consider buying a gender-specific shoe to get the best design possible as well as an insole that is padded and comfortable. Getting a shoe that is designed to be flexible, offer high quality and durability is key. Consider the type of material that is used to construct the shoe when deciding which one is best for you. Soft flexible material such as soft leather, mesh, and other softer materials are the best to use. Hard and rigid materials such as patent leather can aggravate your conditions, rubbing against the bunions causing even more pain and inflammation. The leather is a very durable material and this makes it the ideal type of material for this kind of shoe. Rubber is the material of choice for the soles of your shoes as they provide protection as well as being durable and having good traction, which is important in any shoe, but especially a shoe that is designed to help you deal with bunions and other foot issues. It is a known fact that more women suffer from issues such as bunions, corns and the like. The reason for this is that women tend to wear shoes that fit very tight, and this is a common cause of bunions. In fact, in places where people do not wear tight fitting shoes, bunions are almost never seen, which indicates that wearing improper footwear is a major contributor to this problem. Make sure your new footwear is the perfect fit. Mary Janes are good shoes for women who still want that flare of style. A shoe fitting with a professional is recommended. 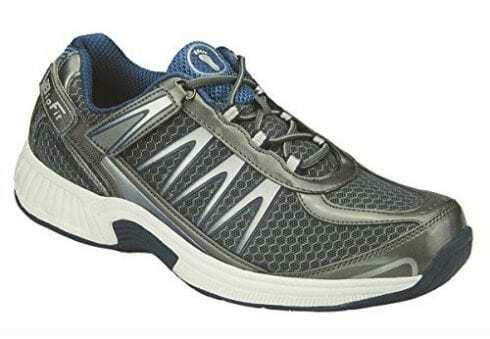 For men, the athletic shoe that has a flexible, pliable and breathable upper is perfect. 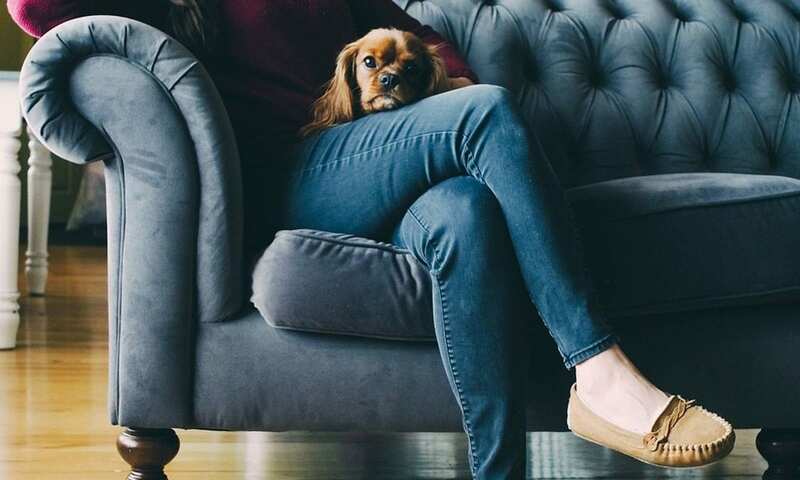 Any shoe that offers a wide toe box will do, so the loafer or sandal is just as appropriate and can be used to alleviate the pain and cause of bunions. Men generally do not have a problem with buying a shoe that looks great at work or for casual wear that offers these types of qualities. Women on the other hand like to stick to fashion, and the high-heeled, pointed toed shoes are what often lead to the affliction in the first place. There are however a number of great woman’s shoe on the market that is designed to allow them to deal with their bunions in comfort and style. Soft leather wide shoes with high heels are what to look for; squashing your foot into a shoe is sure to worsen your bunions and causing great pain during the day. The insole of your shoe is of paramount importance. Having a well-padded insole will help to absorb the shock of impact when walking or running and having a removable footbed is a great feature of any shoe for bunions, you can then remove the inner and replace with orthotics designed specifically to deal with your foot issue. If you’re finding yourself asking what is a bunion, you’ve come to the right place. A bunion is a Hallux Valgus or a deformity that occurs at the base of the big toe. It can be extremely painful and can restrict the movement of the foot. The common bunion, which is caused by a build-up of calcium usually, appears first at the joint of the big toe. In terms of bunion relief, these are the easiest bunions to treat. The inflammatory bunion is usually filled with fluid and it makes it very hard to walk when you have these. Inflammatory bunions may seem to disappear at times but they often return and then remain until the inflammation is gone. Compilation bunions grow on the side and top of the big toe. They are hard and although they have a smaller surface they do tend to protrude more than the common bunion. Arthritic bunions are one of the hardest bunions and are very painful; they often prevent the sufferer from using the big toe at all – also considered as rheumatoid arthritis. Finally, the tailor bunion is actually called a bunionette. The reason for this is that they form on the little toe and not the big toe. These can be very painful as well. Bunions, without having surgery, will not go away, however, wearing the correct footwear and taking care of your feet will help you to manage your bunions. Most doctors will first try orthotics and correct the footwear before recommending surgery to remove the bunion. Bunions can affect quality of life, so it’s best to tackle them head on. When considering which shoe to use for bunions, and more particularly which shoes will be best to manager bunions you should consider a few vital aspects. The width of the shoe is enormously important, as having a wider shoe will prevent it from rubbing against the bunions and aggravating it and increasing your pain levels. Mesh or canvas and leather shoes have a lot more flexibility and will stretch enabling you to avoid rubbing against your bunions causing discomfort and perhaps aggravating your bunion. Wearing a shoe size that is a little larger than you normally would also help. This helps the shoe to fit less tight and avoids the issue of the shoe rubbing and aggravating the bunion. Wearing specially designed insoles or orthotics is also a great way to stop your feet from sliding around in the shoe if you chose a shoe size larger than normal. There are a number of running shoes designed with a wide toe box. This is to give your feet and toes room to move and specifically in bunion shoes to avoid the shoe from rubbing up against your bunion, causing pain and worsening the bunion in the process. One of the shoe that offer a wide variety of widths up to an extra wide fit is the Propét Women’s TravelActiv Sneaker. Flip-flops are not the ideal shoes for bunions, they offer very little protection and support as well as exposing your bunions to injury. Wearing womens flip-flops for very short periods of time such as when on the beach or in the locker rooms are not bad, however, using them to walk with on a daily basis will almost certainly aggravate your bunions causing more pain and suffering. Bunions do not have to be removed as wearing the correct footwear and taking care of your feet can manage them properly. However when they become very painful, so much so that they are having an impact on your daily life, preventing proper foot motion and causing you to not be able to walk properly, then surgery to remove bunions should be considered. This is once you have tried all the care products you can on the market. To find out more about what to do about bunions click here. When you suffer from bunions or some other form of a foot ailment, it is essential that you get yourself the best footwear you can that will afford you the protection, support, comfort and stability you can get. Bunions can be painful and a shoe that does not prevent you from rubbing against them, bumping them or otherwise aggravating them is not something you want. Wide, comfortable, supportive shoes are what you need when dealing with bunions, corns, and hammertoes to name but a few foot issues. 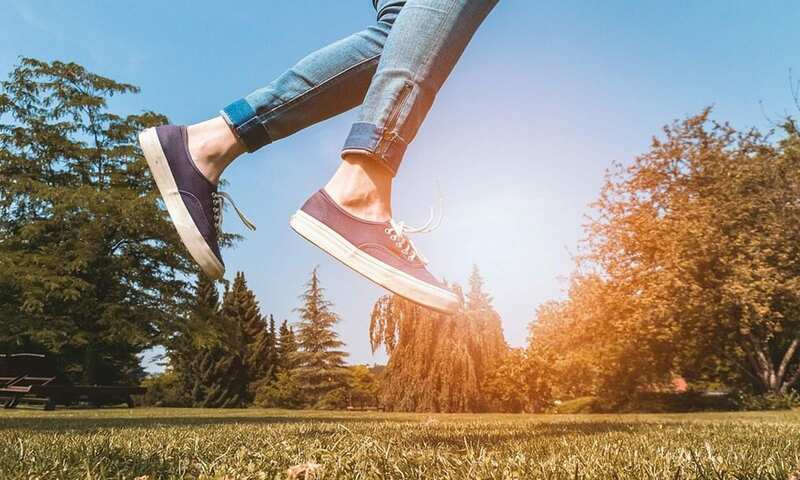 The Propét Women’s TravelActiv Sneaker is our top choice of shoes for bunions due to the number of fantastic features offered that are specifically designed for people who suffer from foot ailments such as bunions, corns or hammer toes. The sneaker styled lace-up shoe is lightweight, durable and flexible to allow your feet to be able to move comfortably and offer the support needed. The synthetic upper is made from a breathable material, which allows your foot to breathe, and the low top design of the shoe offers arch support and will fit your foot perfectly. Engineered for stability this great shoe is made from high-quality materials with a wide fitting construction, offering up to five different widths, from narrow to extra extra wide. A removable footbed allows you to replace it with orthotics while the insole is superbly cushioned to offer comfort and support. A rubber sole adds to the comfort of the shoe as well as providing the traction you need to remain stable on your feet. A stylish, flexible and durable shoe with the comfort any bunion sufferer needs, it is one of the best shoes on the market catering for wide feet as well as any other foot ailments. When you are looking for a sandal that will not only look great but also offer the relief you need from bunions, corns and other foot ailments you need not look further than the Finn Comfort Women’s Sandal, which is our premium choice. The Finn Comfort Classic footbed offers a firm feel and superb support, the heel of the sandal measures 1 inch and the broad band straps ensure that the foot stays securely in the sandal at all times. The adjustable strap and the full leather upper ensure the fit of the sandal and leather lining conforms to your foot and helps to wick away any moisture keeping your foot not only dry but cool through the long day. Weight is distributed evenly through the anatomical shape of the sandal and the resilient cork and latex base helps to reduce any foot fatigue you may experience in other shoes. The outsole is shock absorbing and constructed from a water-based polyurethane material, which is both comfortable and flexible. A stylish shoe that is perfect for both work and plays with a classic look with contrasting stitching and a textured button accent. When recovering from bunion surgery or any other foot surgery, the VIVE Recovery Walking Boot provides you with the kind of protection you need to keep your foot dry and cool throughout. Designed to be able to accommodate either left or right foot, with fully adjustable straps to ensure that the boot can cope with both casts and bandages, this is one of the best walking boot for bunions. With a square toe design, this men & womens walking shoe is perfect for either men or women. Protecting your feet from bumps along the way, it also ensures your bandages remain dirt free and provides the support your foot need. The rocker, non-skid sole gives you the stability you need while you walk and the arch is supported to prevent pain in your forefoot or heel. A lightweight design makes this a very easy walking boot to use and is highly affordable with a 60-day unconditional guarantee making it our great value choice. We hope you enjoyed our article on "The 10 Best Shoes for Bunions", if so, please share and rate it.